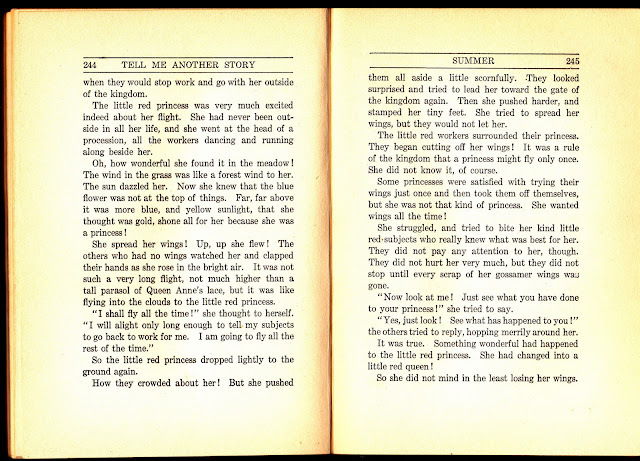 This is the second of two tales about princesses by anthologist and author, Carolyn Sherwin Bailey. 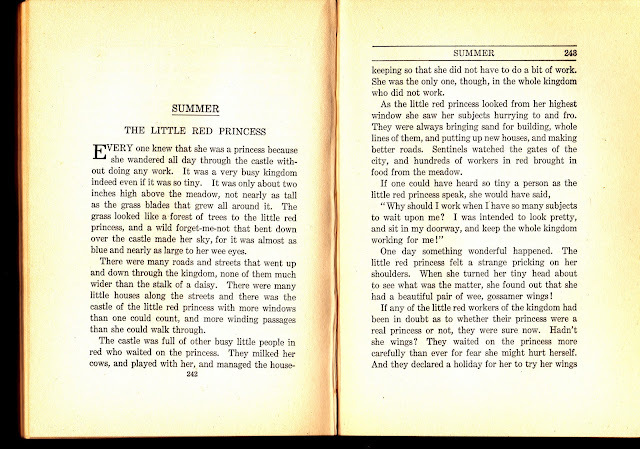 Her anthologies tend to be a good source of seasonal and holiday stories, nature and animal tales, stories centered around the home (of the early twentieth century), traditional tales, and more. To aid in your finding these wonderful anthologies, I've decided to add hotlinks any time I can find one to help you find additional stories. This comes from Tell Me Another Story. 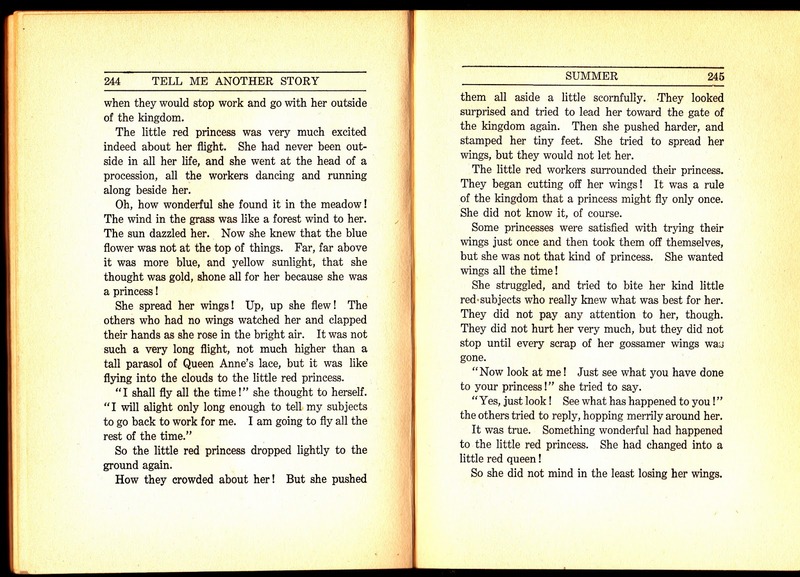 Whenever possible I will use a Project Gutenberg posting of Public Domain material. They certainly embody the spirit of Public Domain and deserve support. 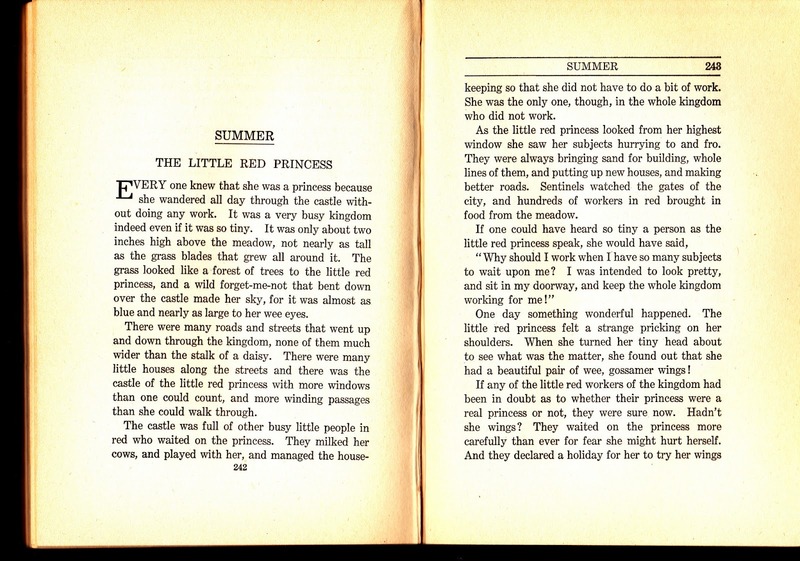 I promised this is not your usual princess, but will let you discover what I mean and why this is listed as a tale of summer. 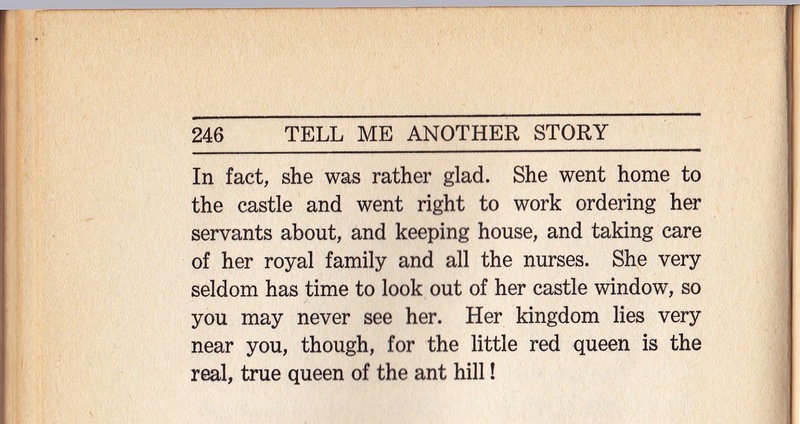 May you keep the followers of the queen out of your life until the next story appears.